Digital print and design company MOO collaborated with designer Timothy Goodman on a limited edition notebook. The book cover features Goodman’s famous signature, his illustrations and a quote, “Meetings Kill Creativity.” In the middle of the notebook is a full-page illustration featuring more messages from Goodman. The point of the collaboration was to inspire creativity from anyone. The hardcover notebook is being sold exclusively by MOO for a limited time. A PSFK favorite, Timothy Goodman has spoken at our conferences to elaborate on where he finds creativity and the inspiration behind his work. He turns his words into art, making him a highly desired collaborator for different types of brands. “I hope people will do every thing that’s possible to express themselves on those pages: draw, write, scribble, doodle, make marks, stab, etc. 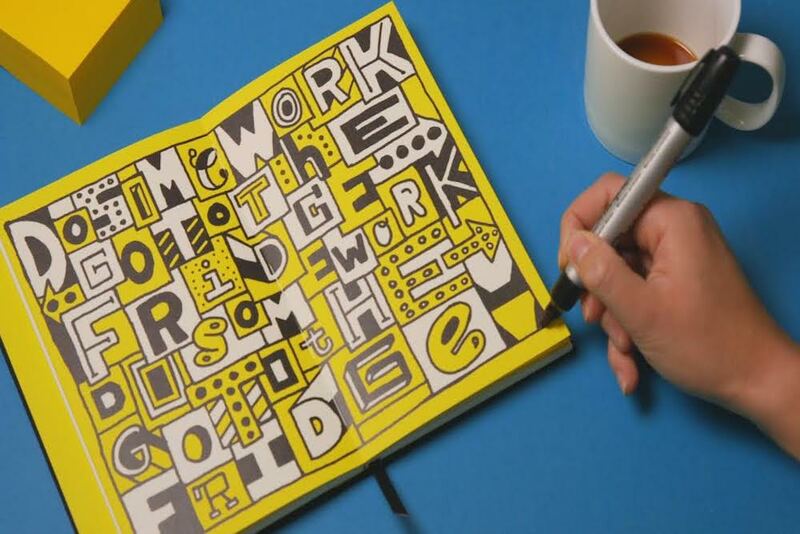 At the very least, it will be a better looking way to take notes in meetings,” Goodman said.